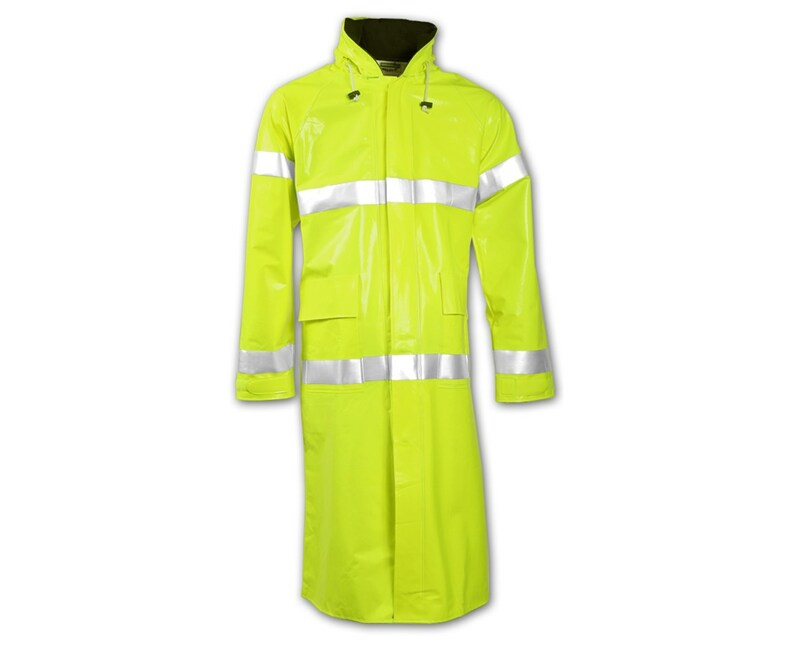 Constructed of PVC layer over non-woven Nomex fabric, this 48 Inches Fluorescent Yellow Green Coat features high visibility and excellent arc thermal performance. Its thick exterior coating offers complete waterproof protection, while bringing exemplary daytime visibility. It also has 2-inch silver trim that effectively reflects light for 360-degree nighttime conspicuity. 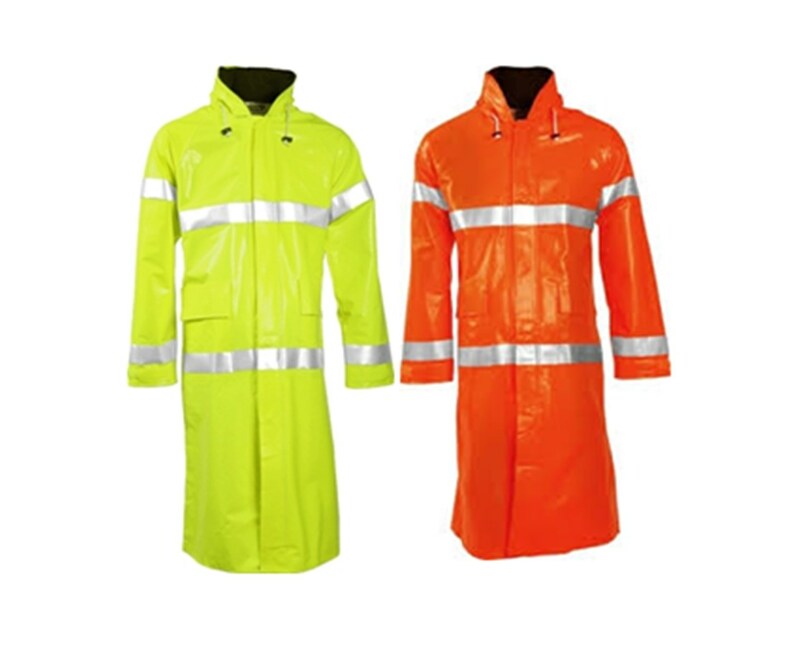 This soft and lightweight safety coat allows maximum freedom of movement with its raglan sleeve construction and 90-degree sleeve to body angle. It also has hook and loop take-up straps for ease of wear and an adjustable fit. All hardware is non-conductive and it comes with a vented cape back to encourage air circulation. 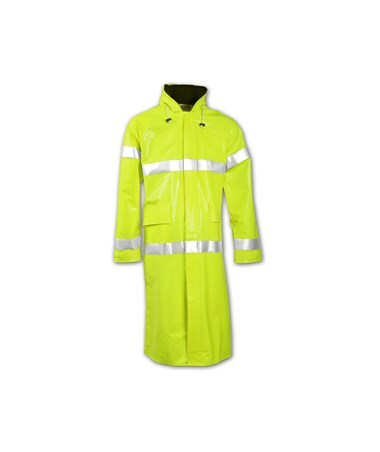 Tested to be flame resistant, this suit is self-extinguishing with flameout and afterglow of less than two seconds after removal of ignition source. It is also resistant to chemicals and mildew, making it ideal for line workers, substation, pipeline services, troubleshooting and construction applications. The 48 Inches Fluorescent Yellow Green Coatis available in size M to 4X (size chart). You can select your desired size from the drop down menu in the upper right hand corner of this page.